Responsible agency: Schwaneberger Verlag GmbH, Industriestr. 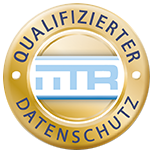 1, 82110 Germering/Germany, Telephone: + 49 (0) 89 323 93-02, Telefax: + 49 (0) 89 323 93 248, E-mail: info@michel.de. Data protection officer: Dr. Sebastian Kraska, IITR Datenschutz GmbH, Marienplatz 2, 80331 München, Telephone: +49 89 189 173 60, E-mail: email@iitr.de. You may view the contents of this website, which are free of charge, without providing any personal data. Please, however, please note the information about cookies, Google Analytics and Facebook plug-ins. You only need to register if you want to use the online services MICHEL Online and MICHELapp. Please be advised that there may be security holes whenever data is transferred over the internet (such as any communication by e-mail). It is impossible to provide complete protection of data from access by third parties. Our shop uses encrypted communication by HTTPS. Any data exchanged between your browser and our server, i.e. your order, payment data, etc., are therefore protected from access by third parties. Legal basis of the processing of session cookies: on Art. 6, Para. 1, Letter f, Basic Privacy Act. Purpose of the processing of permanent cookies: A permanent cookie will remain stored on your personal computer even after your browser has been closed until it is deleted. We use these cookies to provide the functions as listed and to make the website more user-friendly. We place a permanent cookie when you select a product in our online shop and add same to the shopping cart. This way the contents of your shopping cart are saved if you close the browser, and the selected products will still be in your shopping cart on your next visit of our website. We place a permanent cookie if you select the function “Anmeldedaten merken“ (remember log-in data) when logging into your user account. Your user name and your password are stored in the cookie, and you do not have to enter them again on your next visit of our website. Legal basis of the processing of permanent cookies: Art. 6, Para. 1, Letter f, Basic Privacy Act. http://tools.google.com/dlpage/gaoptout?hl=de. Alternatively, you may prevent that cookies are stored by adjusting the software of your browser. Please note that in this case you won’t be able to use all functions of this website. Legal basis of the processing of Google Analytics: Art. 6, Para. 1, Letter a, Basic Privacy Act-. We obtain our users‘permission by providing a note about cookies on our website. Purpose of the processing of Facebook plug-ins: We use plug-ins of the social network facebook.com operated by Facebook Inc., 1601 S. California Ave, Palo Alto, CA 94304, U.S.A. The plug-ins can be identified by their Facebook logo (white ”f“ on blue), respectively “thumbs up” (”Like“). If you access a webpage that contains such a plug-in, your browser established a direct connection to the servers of Facebook. The contents of the plug-in is transmitted by Facebook directly to your browser, which links it to the website. This way Facebook receives the information that a user has accessed the pertinent webpage of the offer. If you use Facebook and are logged into Facebook, Facebook can link your webpage access to your Facebook account. If you interact with a plug-in, such as sharing contents or “liking” a page, this information is transmitted from your browser directly to Facebook and stored there. Even if you don’t use Facebook or are not logged into Facebook, there is still the possibility that Facebook stores your IP address. According to Facebook Inc. Only the shortened, i.e. anonymized IP addresses of users in Germany are stored. You may look up the purpose and extent of the data collection and the processing and use of the data by Facebook as well as the pertinent laws and options of adjustment for the protection of the users’ privacy in the data protection information published by Facebook: http://www.facebook.com/policy.php. Prevention of the processing of Facebook plug-ins: If you don’t want Facebook to collect data about you via the plug-in and link it to your membership data stored by Facebook, you have to log out of Facebook before visiting our website. You may also block the plug-ins, for instance by installing the browser add-on ”Facebook Blocker“. We process personal data we receive from you so as to be able to answer requests and process contracts about the online services provided by us, in particular to render the contractual services and to bill you. Purpose of the processing of your data: With your consent, which you give when you sign up for our newsletter, we process your data required to send you the newsletter. Your e-mail address is mandatory since it is necessary. Stating your first and last name is optional. Legal basis of the processing: Art. 6, Para. 1, Letter a, Basic Privacy Ac (consent). Revocability: You may revoke your consent at any time. In that case we will no longer process your e-mail address for the newsletter. You may revoke your consent via a link in the newsletters themselves, in your profile or by sending an e-mail to marketing@michel.de. Purpose of the processing of your data: If you contact us by e-mail or via a contact form, we will process the personal data you indicate in your request, including the contents of your request. We process this data so we can process your request. Legal basis of the processing of your data: Art. 6, Para. 1, Letter b, Basic Privacy Act (pre-contractual steps). Purpose of the processing of your data: If you order items in the shop or by other means, we will record the personal data you indicate in your order, including the contents of your order. We will use this data so we can perform the contract. Legal basis of the processing of your data: Art. 6, Para. 1, Letter b, Basic Privacy Act (contractual performance). Purpose of the processing of your data: Within the range of legal provisions, we are entitled to use your personal data to safeguard any justified interests. Our justified interests are: assertion of claims, customer support and direct marketing. Legal basis of the processing of your data: Art. 6, Para. 1, Letter f, Basic Privacy Act (safeguarding of justified interests). The right to object concerning direct marketing: In accordance with Art. 21, Para. 2, Basic Privacy Act, you may object to the processing of your data for the purpose of direct marketing any time. In that case the processing of your data will be restricted to the other purposes for which it is necessary and will not be processed for the purpose of direct marketing. We only transmit personal data to a third party if this is necessary for the purpose of contract processing or billing, if we are legally required to do so or if you have given your explicit consent to the transmission of your data. Furthermore we use service providers that process the data at our request. Within the range of performance of contracts concluded through the shop, personal data will be processed by the following service providers to the extent that this is necessary. These service providers process any personal data only at our request and only according to our specifications. Purpose of the processing of your data: Apart from that, we only transmit any personal data to any third party if we are legally obliged to do so, such as to law enforcement agencies. Legal basis of the processing in this case: Art. 6, Para. 1, Letter c, Basic Privacy Act. Purpose of the processing of your data: The following master files, which are required for the registration, will be stored in your user account: Log-in data (e-mail address, which serves as your user name, and password), e-mail address, name and billing address. In addition, the information you enter when using the administrative function, such as lists made by you. You may change or delete that information at any time. We process this data to be able to allocate orders to a customer and avoid having to enter the data again for additional orders. Duration of data storage: After the contract has been terminated, your user account will be deactivated and all data stored in it will be deleted. We will delete your data when it is no longer needed after a request has been processed, respectively the contract has been terminated. That excludes data we are not authorized to delete due to legal requirements (such as documentation that must be saved according to tax law and commercial law) and data we require for the safeguarding of justified interests, particularly for the assertion of claims or for direct marketing. You are entitled to request that any stored data relating to you personally be disclosed to you (Art. 15, Basic Privacy Act). You are entitled to request that any incorrect data be corrected (Art. 16, Basic Privacy Act). You are entitled to request that any data no longer required be deleted (Art. 17) or that the processing of such data be restricted (Art. 18, Basic Privacy Act). Insofar as we are required by law to save such data, such as for business correspondence according to commercial law and tax law or in the case of any other legal exception, data will not be deleted; instead its processing will merely be restricted. You are entitled to object to the processing of your data for purposes of direct marketing and you may also object to any other kind of processing of your data for special reasons (Art. 21, Basic Privacy Act). You are entitled to request data portability (Art. 20, Basic Privacy Act), i.e. to request that the data you provided to us be made available in a structured, common and machine-readable format and to transmit said data to another person responsible without being impeded by us; if applicable, you may also be entitled to request that we directly transmit said data to another person responsible insofar as this is technically feasible. Please contact the address listed under No. 1 for the enforcement of your rights. If you are of the opinion that the processing of your data violates the Data Protection Law, you may submit your complaint to a control agency (Art. 77, Basic Privacy Act). The control agency that has local jurisdiction over our company is the Bayerische Landesamt für Datenschutzaufsicht, Promenade 27 (Schloss), 91522 Ansbach, Telephone: +49 (0) 981 53 1300, Telefax: +49 (0) 981 53 98 1300, E-mail: poststelle@lda.bayern.de.